Around Thierry Sabine had created a Cenacle. Adventure. A posse of followers that you accodavano the Messiah. There were “Fennel”, Neveu, Auriol, Comte, Vane… All bikers, the well-beloved. Who stood out in the Group was Jean-Claude Olivier. Personality and intelligence, a natural predisposition for organization. And, as not enough, Centaur himself. Gave a big hand to Thierry in the months leading up the first edition of Oasis Dakar. They weren't missed tips and promise to field a team. Born in Croix on 27 February 1945, in 33 years had already done everything and more, starting from scratch. Already, a life as it was a century long. At the age of twenty had been hired by Sonauto, Porsche importer in France from 1950. He was sent to clean the stores, that his first job. Reddish hair, clear eyes, intense look, intuitive, the upward path began when business owners decided to work alongside the German gran turismo the sector devoted to motorcycles. Yamaha, the Japanese brand, to raise awareness and spread on the French market: The problem was how. Jean-Claude came up with the idea of going straight by mechanics in France to show some yet unknown brand models. The project was approved. You did assign a van, painted with Yamaha in large letters, loaded within four bikes in production: a 50, a 80, a 125 and a 250. He hit his belt France. A difficult job, had to with-win, create points of service and sell. Sell, the imperative. In the first year, 1966, He succeeded in perfecting arrangements for 28 service points and place 177 bike. Three years later struck a thousand units. A rapid growth for a brand still without history in Europe. Volumes increased by importing scooters, another his intuition. However did not neglect his passion. 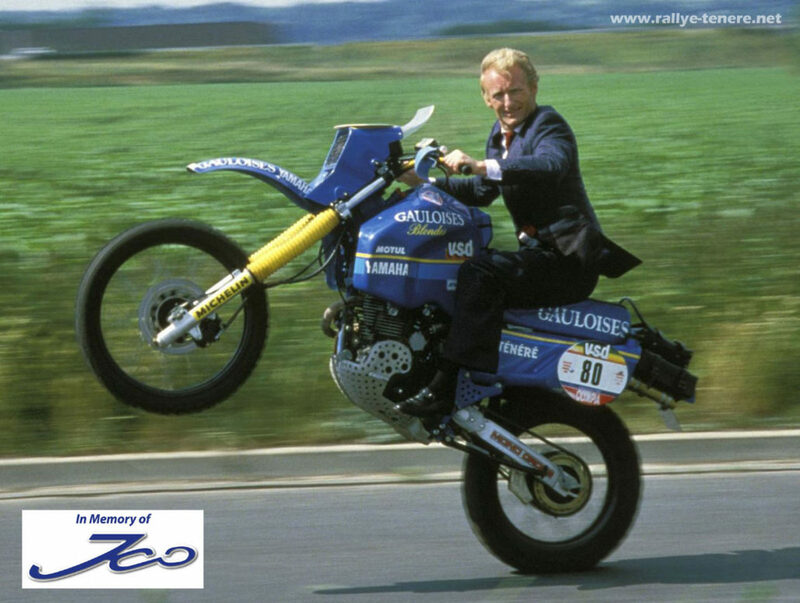 Kept running and when Sabine staged the first Dakar, JCO, It was named after this acronym, supported the first training Sonauto Yamaha-BP. 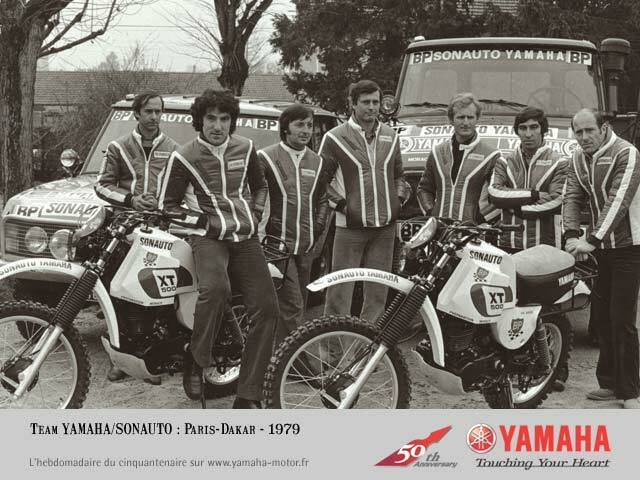 Four 500 XT lined up for Gilles Comte, Christian Rayer, Rudy Potisek and, Of course, Jean-Claude Olivier. His team dominated, winning six stages out of ten. The Agadez-Arlit and Agadez-Niamey, among the toughest were initialled JCO. 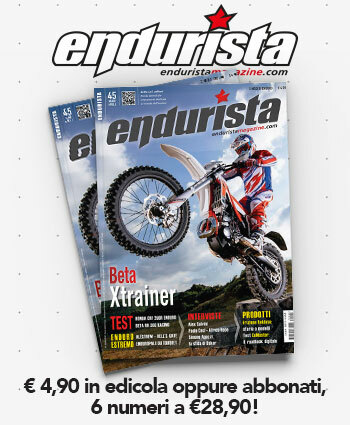 The Sonauto was meanwhile became the “boss”, the company continues to grow. As races. RAID and track. 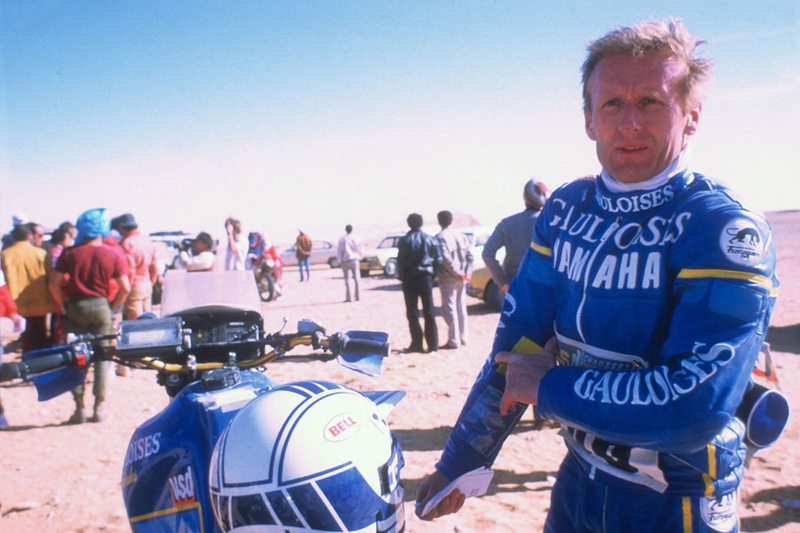 He participated in nine Dakar, taking second place Yamaha FZ 750 4 cylinders in 1985 (Ed actually brought to the podium a XT600, the FZ750 debuted only a year later). Behind the Bmw of Rahier. 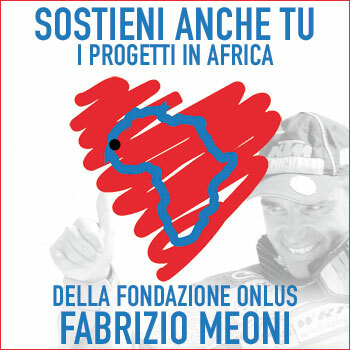 Also on track, with the team that had set up, There were satisfactions. Was he the strategist who managed to bring Max Biaggi to Yamaha in 1999. But above all was the discoverer of Stephane Peterhansel. Six centers in the African desert. The 24 February 2010 He passed his hand at Yamaha Motor France, become an empire. After 43 years of work. His life as a great Star ended tragically. In a weekend of January 2013 a truck invaded the lane of the motorway Paris-Lille, which is-is proceeding. The crash was inevitable and terrible. Alongside traveling the daughter who managed, miraculously, saving grace. Not him. The legend of JCO ended so. A cursed fate.